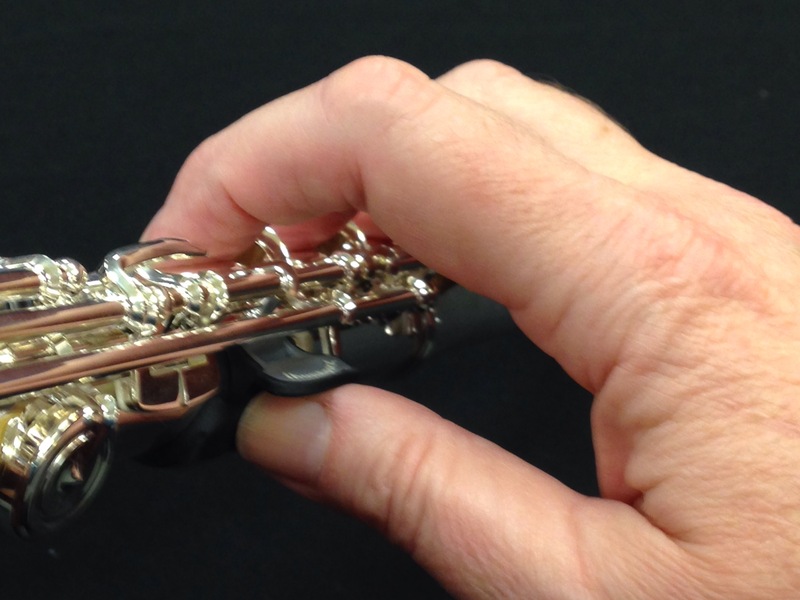 Sometimes flute players can use a little help when it comes to balancing the flute in their hands. This can be to assist young players in developing efficient hand positions or for comfort. 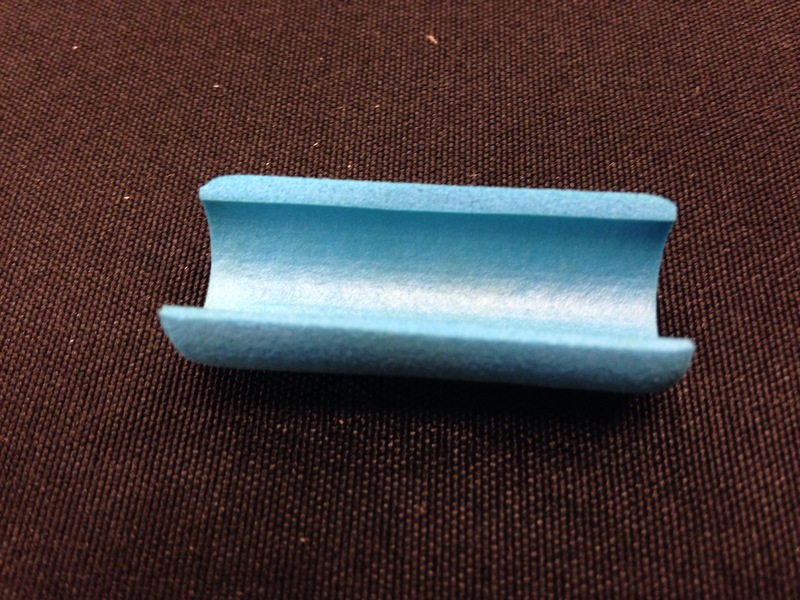 One of the easiest and cheapest things you can use is a foam pencil grip cut lengthwise. You can put it underneath the C key as a left hand cushion or you can cut it in half and put it under the F key as a right hand thumb guide. 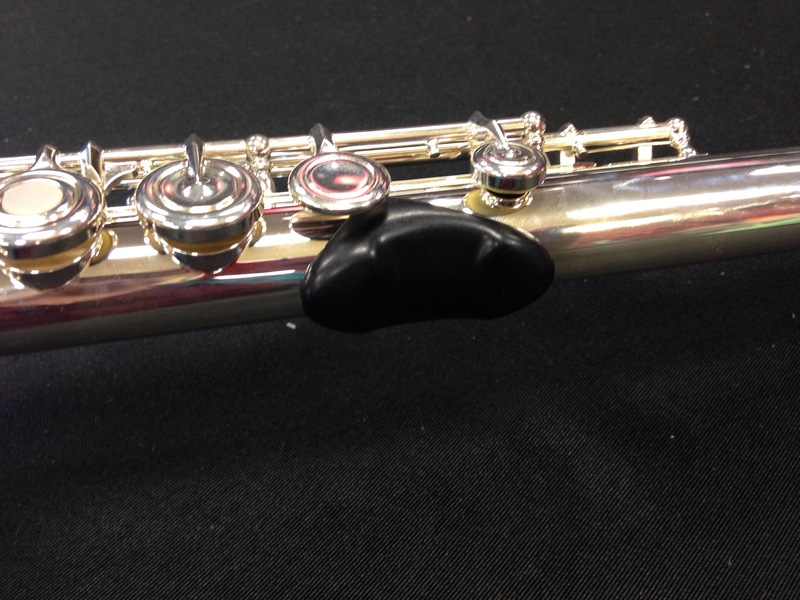 Because the grip is round, it will stay on the flute really well. However, it can fall off. 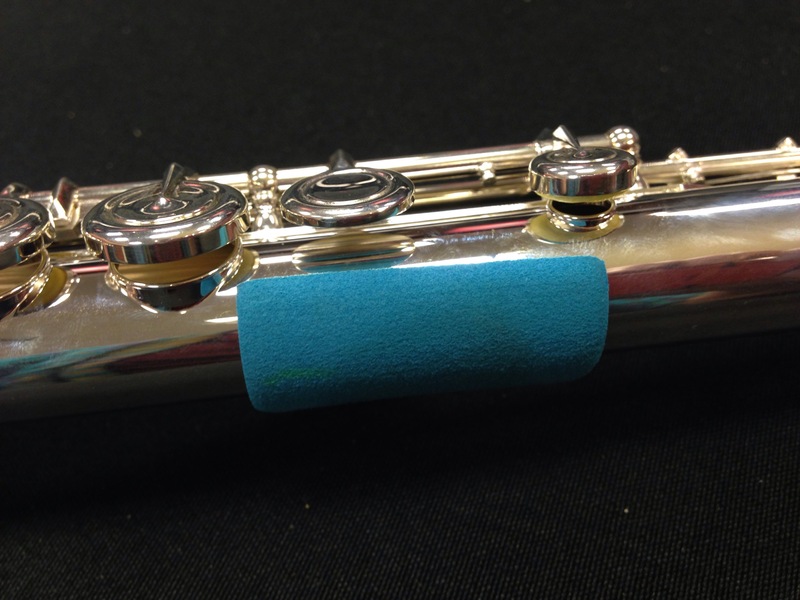 You could use a little bit of a removable adhesive to make it stick to the flute, while making it easy to take off if necessary. If it is properly placed, it won’t interfere with the C key. It’s also really comfortable. For the right hand thumb there are a couple different devices available. Which one you choose depends on the size and shape of the thumb. If the player has a short to medium size thumb that is nearly straight, I like the Thumbport. It is designed to rest against the ribbing underneath the F key, between the kickers. It provides a little shelf that the thumb goes underneath that helps with balance. It frees up the fingers from holding the flute so they can move more freely. 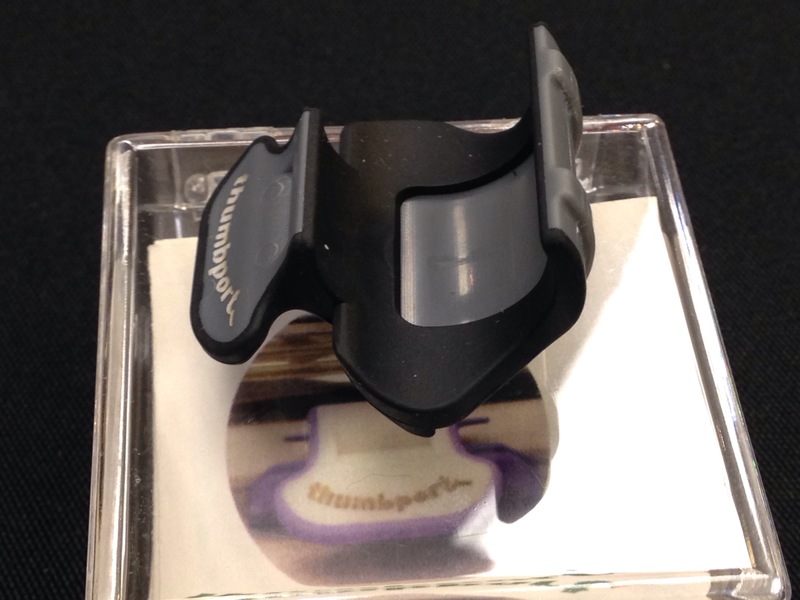 If you have a very long thumb or one that hyperextends at the first joint, the Thumbport won’t work so well for you. Bo Pep also makes a thumb rest for the right hand that goes directly under the F key. This device can be used by almost anyone, but is especially good for people who have long and/or hyperextending thumbs. It gives a flat and stable platform from which to balance the flute. We have looked at the pros for these devices. There are a few cons to consider. The Thumbport seems to only work well for people with medium to short and/or straight thumbs. Not a good choice for long and/or hyperextending thumbs. 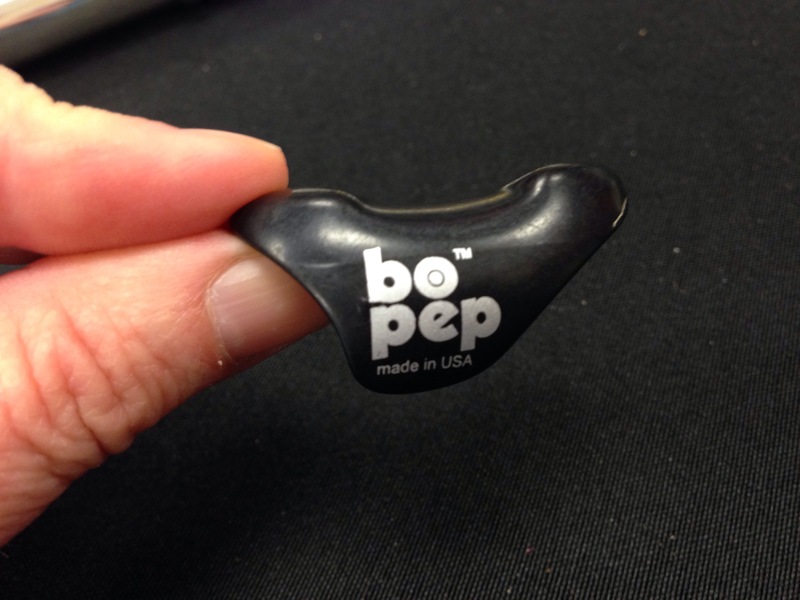 The BoPep products are made of a hard plastic which can scratch a flute. The foam pencil grips can slide even though they do stay in place really well. 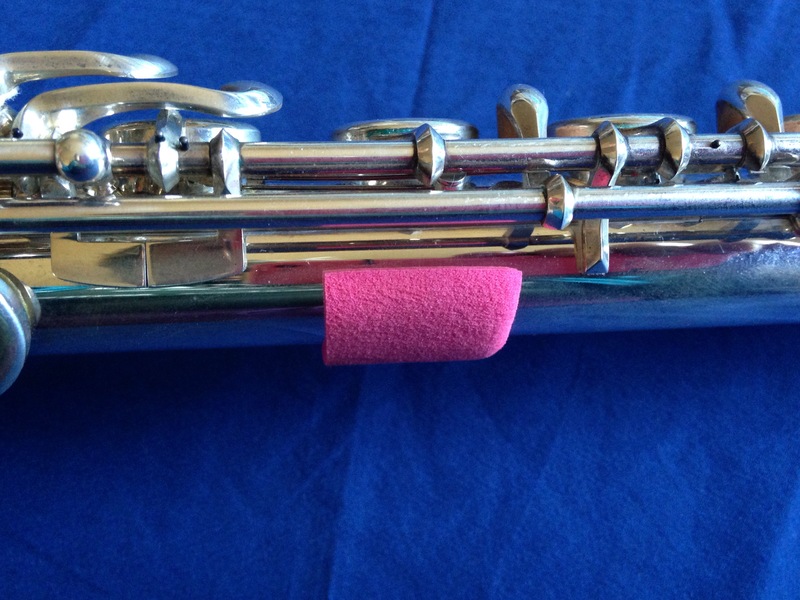 This is a minor issue for an advanced player but it might be helpful to use a removable adhesive to attach it to kids’ flutes. 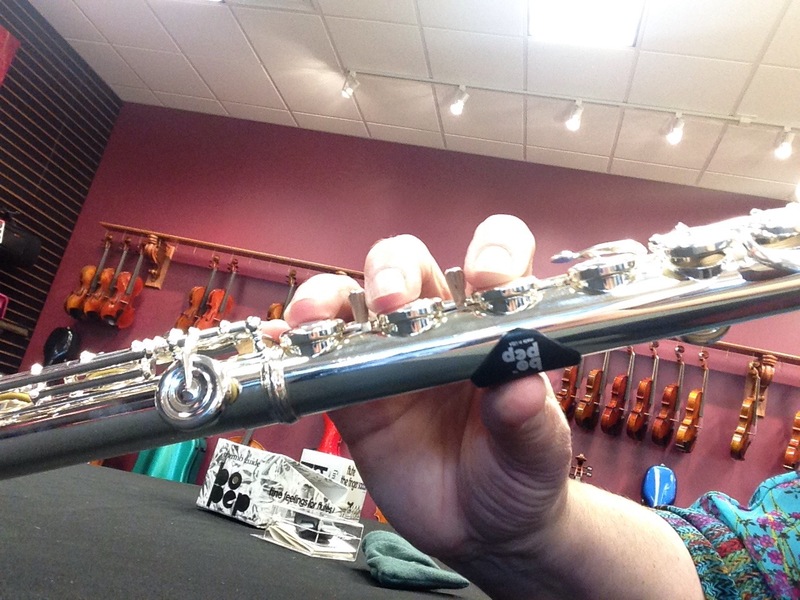 Also, I really don’t believe there is a one-size-fits-all solution for balancing the flute correctly. These devices can be helpful, but they are by no means necessary in most cases. And providing one device exclusively over others for your students can cause more hand position problems than you ultimately solve for them. Check out the previous posts on balance and hand position, It’s All About Balance and Flute Balance and the Right Hand. If you find these entries helpful, subscribe, share with your colleagues and come back regularly for more flute tips. Feel free to comment and ask questions. What do you want to know about flute pedagogy? Maybe the answer to your question will be the next flute tip. Find me on Facebook or email me your questions at dr_cate@sbcglobal.net. For information about clinics and workshops click here.